All double/twin en-suites have comfortable beds, flat screen TV, free WiFi and tea and coffee making facilities. The modern en-suites have shower facilities. All Double /twin rooms are located on the ground floor. Rooms at this family-run guest house each have a private entrance, All rooms feature free Wi-Fi, a modern bathroom and tea/coffee facilities. The Willows has a reception service from 6am to 10am and 16:00 to 22:00 and a self check-in facility from 22:00 to 02:00am. Guests must contact the guest house before arrival to arrange self check-in, or to request a late check-in. Contact details can be found on the booking confirmation. The airport transfer service is available between 06:00 - 10:00 and 16:00 - 22:00. (£7 per transfer).Transfers between 04:30 and 06:00 can be arranged on request, at an additional cost of £11.00. Transfers after 22:00 are not available. Taxi's are available at the airport if you arrive after 22:00. Parking is free during your stay at the property. Car parking is NOT available while you are away! Secure holiday parking is available nearby at Stansted airport. Traditional continental breakfasts can be served to the room daily at an extra cost of £7 per person. 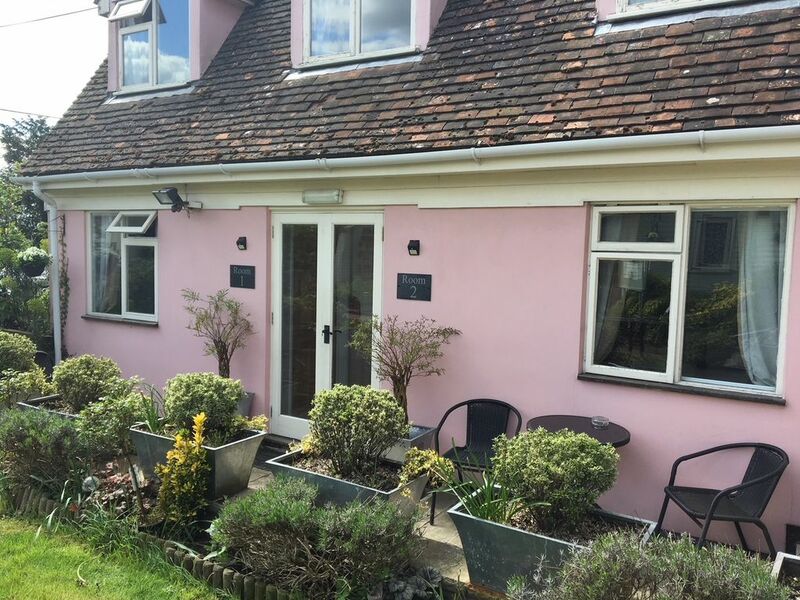 Willows Guest House is a a 40-minute train journey from central London, and a 10-minute drive from the market town of Bishop’s Stortford,and the ancient Hatfield Forest. Historic Cambridge is a 35-minute drive away. This property also has one of the best-rated locations near Stansted airport. Guests are happier about it compared to other properties in the area. My wife and I have been running the Willows guest House since 2007, we both had jobs in central London and decided a change of life style was required, so after searching for the right property we found the Willows and converted it from a private house into the guesthouse, we started with three rooms and have now expanded to seven. Opening a guesthouse has been a life changing experience that we will never forget, meeting people from all around the world is so interesting, we look forward to meeting you and hope you enjoy staying at our guesthouse in a typical english village. The Willows GuestHouse is located in Bambers Green, which is a very small typical english village, surrounded by open countrside. It makes for a very peaceful stay before or after your flight (If you are using the airport) In the next village which is 1 1/2 miles away we have fantastic local pub which serves great english food. Great Dunmow is a small hostoric market town 4.5 miles away offering more options for eating and drinking and unique shops.